2. 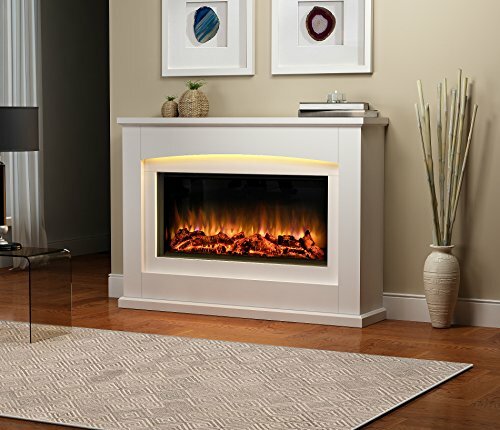 100% LED lighting and Flame effect having amazingly realistic flame effect. Off white finished MDF fireplace supplied in flat pack form but very easy to assemble. 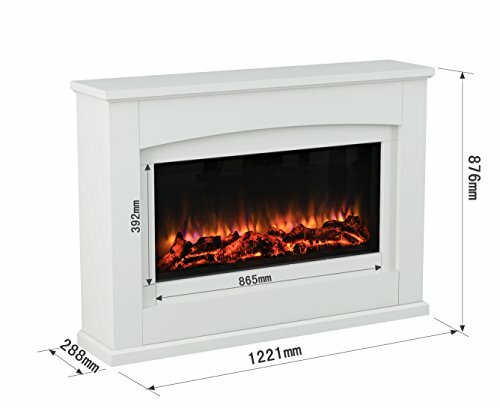 Electric fire supplied separately and easily fitted into the suite. 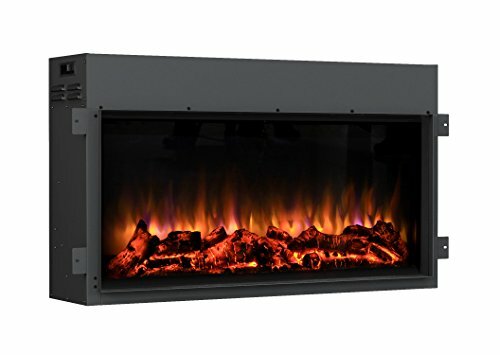 Beautiful fireplace with amazing life like flame effect, 13 colour mood lighting and easy to use multi function LCD display with thermostat in the remote control. 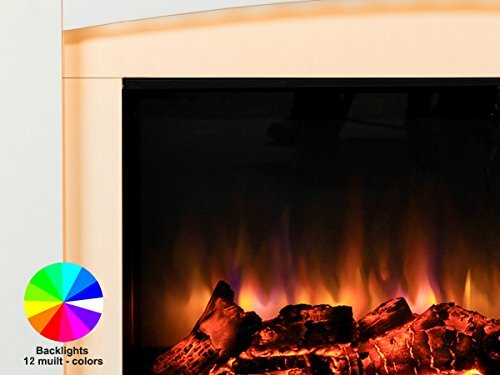 The flame effect can be adjusted for intensity/brightness, used by itself or together with the mood lighting and the heat settings. The mood lighting can be cycled through the 13 available colours and includes a dimming function and can be set to a stationary colour. 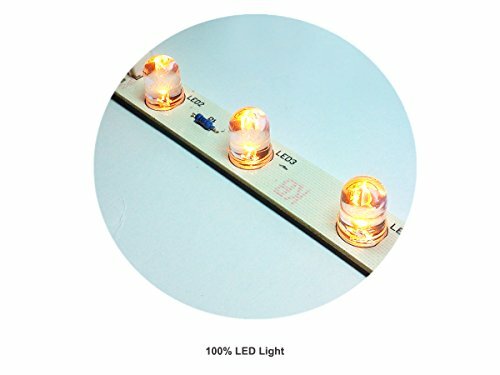 Low running cost for flame effect and mood lighting, less than 11w per hour (less than ￡4 per year) if used 5hrs per day. Mains cable length 1.7M Easy to install. 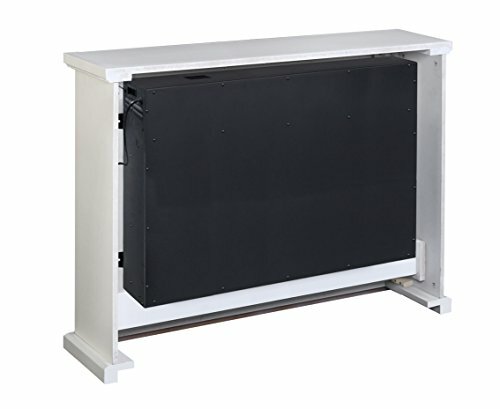 Quiet heater operation with front outlet. TVs can be mounted above . Specification: Voltage 220/240Vac 50hz 1 and 2 kW. 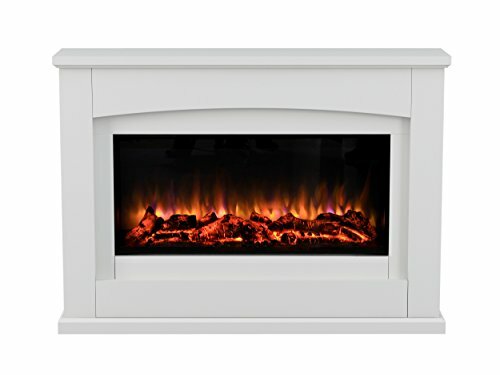 Colour - MDF Fireplace- off white, Fire-Black Dimensions W 1221mm x H 876mm x D 288mm Remote control functions - Off/On, flame effect, mood lighting, heater, thermostat, programmer, 'to off' timer. One-year manufacturer's guarantee.